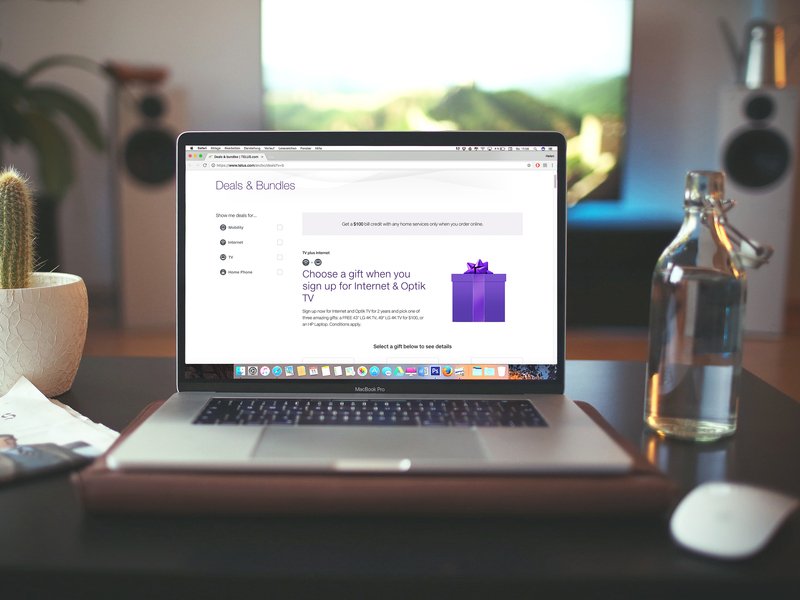 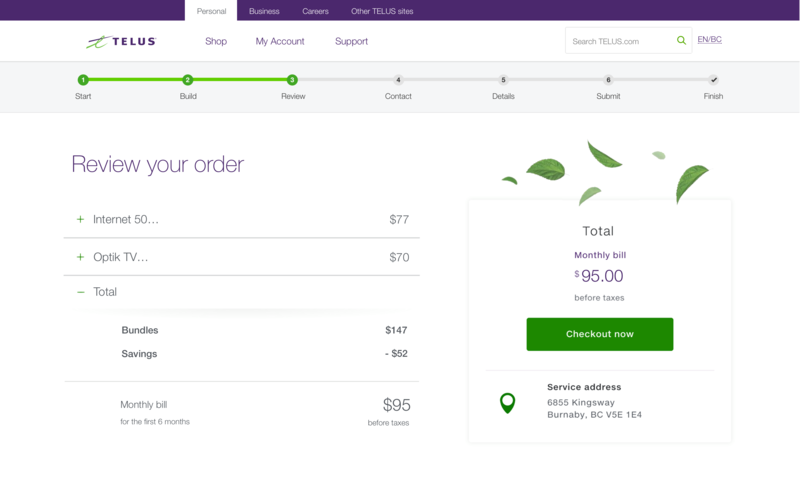 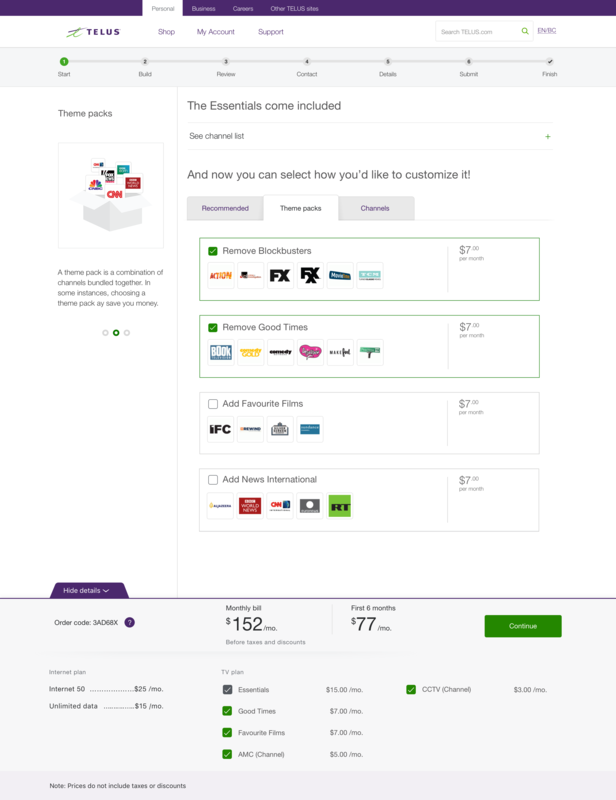 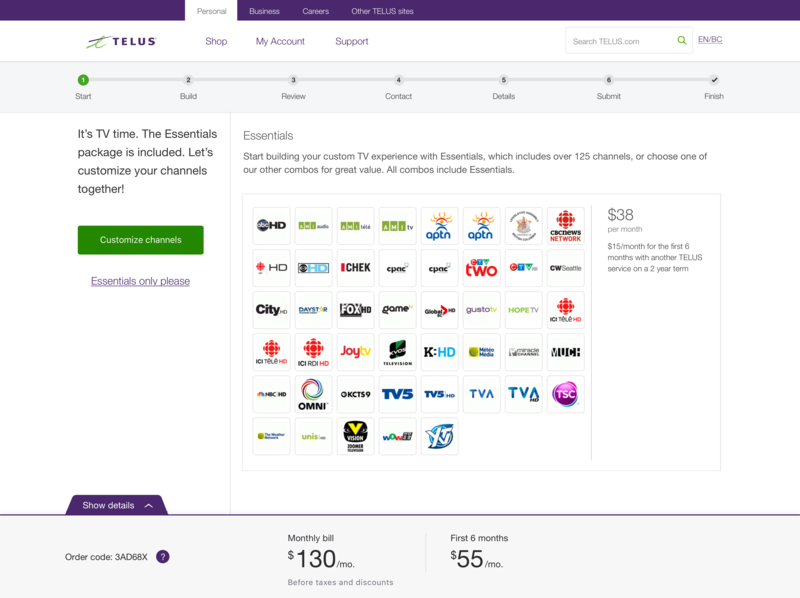 Our challenge is to create a Bundle builder that would address customers’ needs according to the TELUS’ Customer Experience vision. 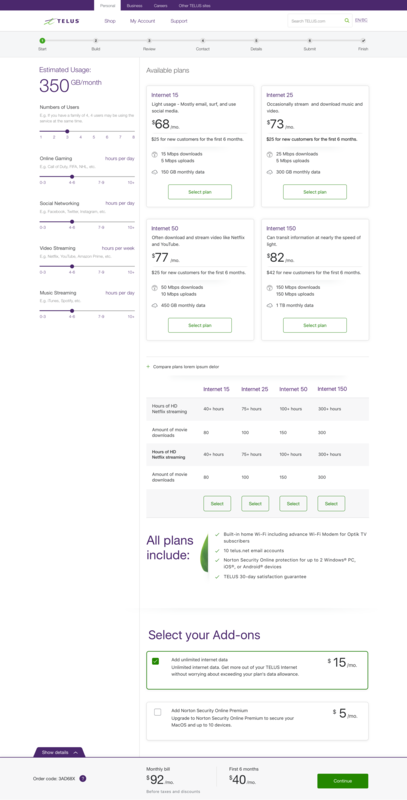 It needs to be a seamless experience, customizable and friendly, always having in mind what the customers are looking for instead of being constrained on showing everything the company can offer. 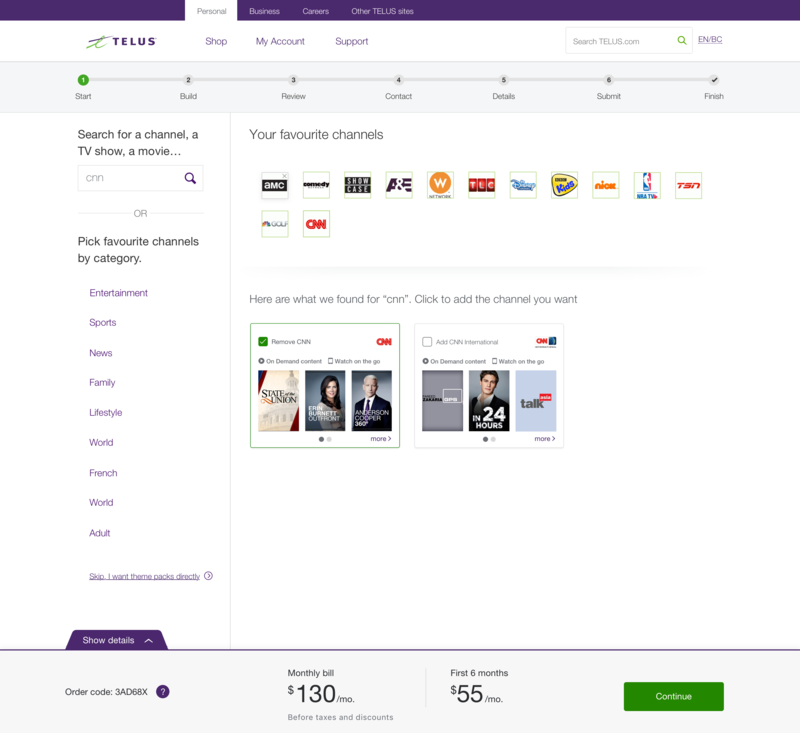 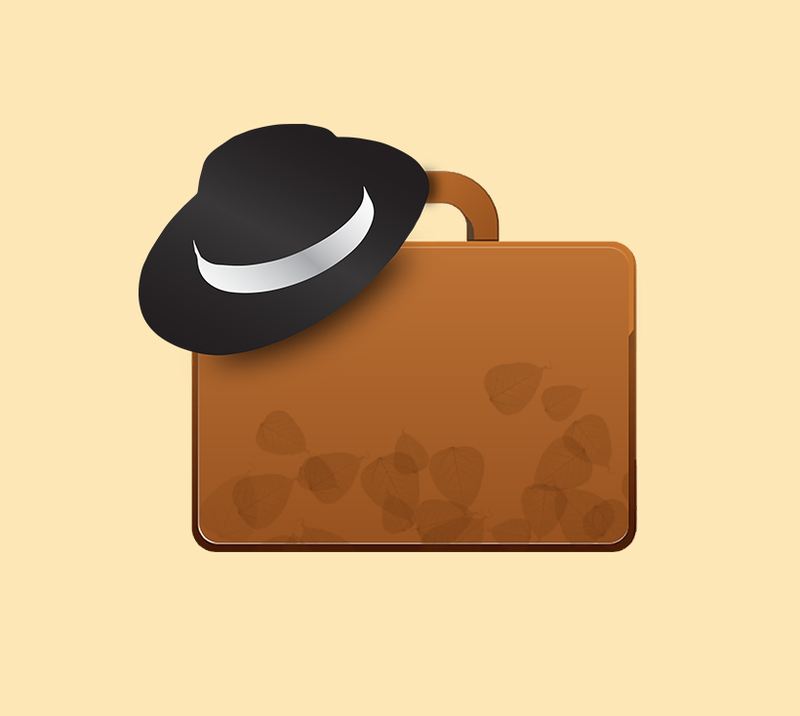 As the UX/UI Designer and Content Strategist in the team, I conducted user tests within the school and at public locations such as Vancouver Public Library, created personas, customer maps, task flows, wireframes and the final UI of the Bundle builder website to enhance the experience of building and buying bundles of Internet and TV plans. 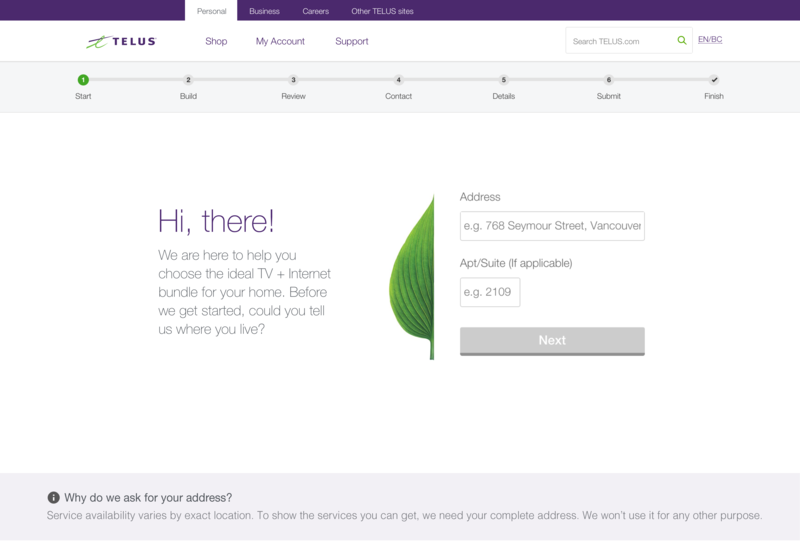 Please visit TELUS@CDM blog for our development blog.